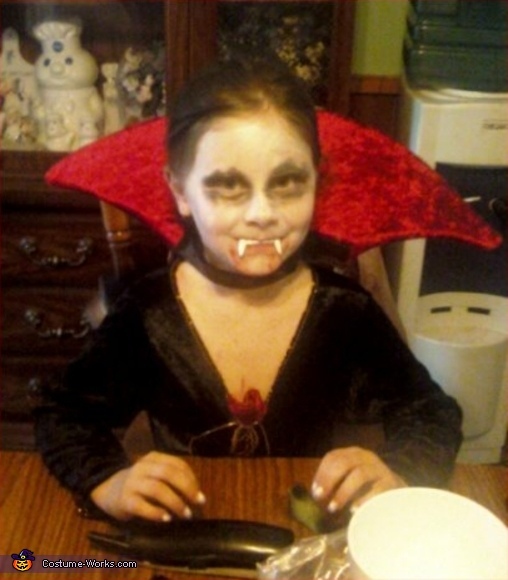 This is Shaye as a Vampire. With the phone close at hand... are there plans to call and invite someone over for a BITE? Great looking Costume and make-up.